Compact microphone with with 3.5 mm audio jack to accept secondary receiver audio accessories. 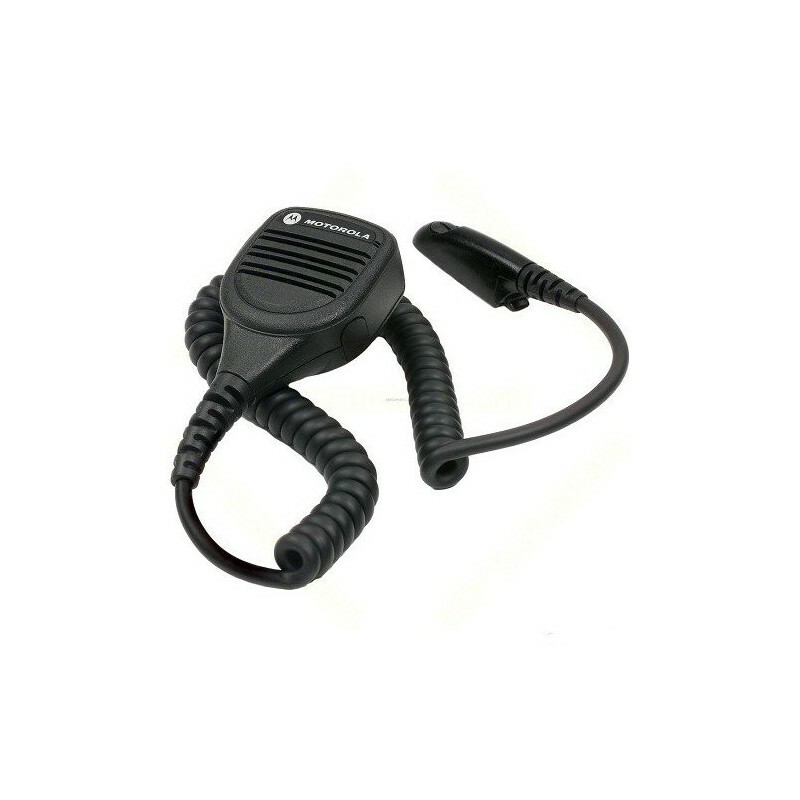 Compact microphone with with 3.5 mm audio jack to accept secondary receiver audio accessories. When plugged-in it will mute the speaker for discreet communications. Windporting feature that helps lessen background noise from high winds and other severe weather conditions. Audio can pass through the speaker grill even when blocked by water. Water-resistant. 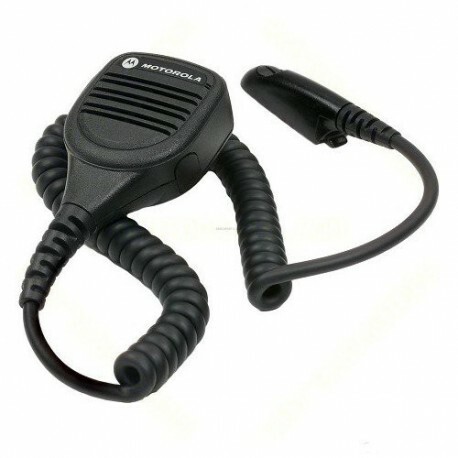 Coiled cord allows talking and listening without removal from belt or case. Push-to-talk switch, swivel clip, and quick disconnect latch.